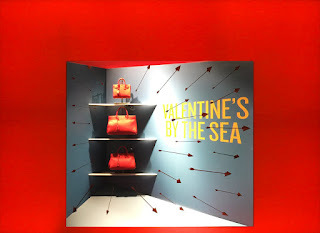 Just in case you thought we had forgotten to include any Valentines schemes here's one just for you. 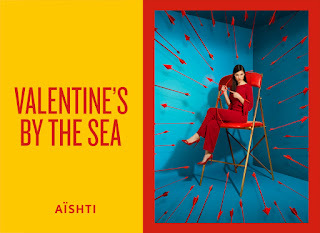 This combination of two and three dimensional elements for Aishti, Beirut features a Sagmeister and Walsh graphic with the use of the repetition of the arrow form. 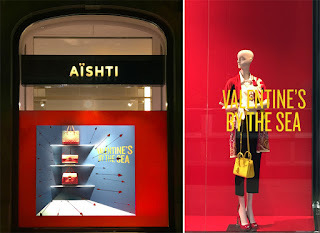 As always, with this brand the final result is a dynamic installation by Arte Vetrina Project with a less than obvious focus on this retail calendar event which is much appreciated.